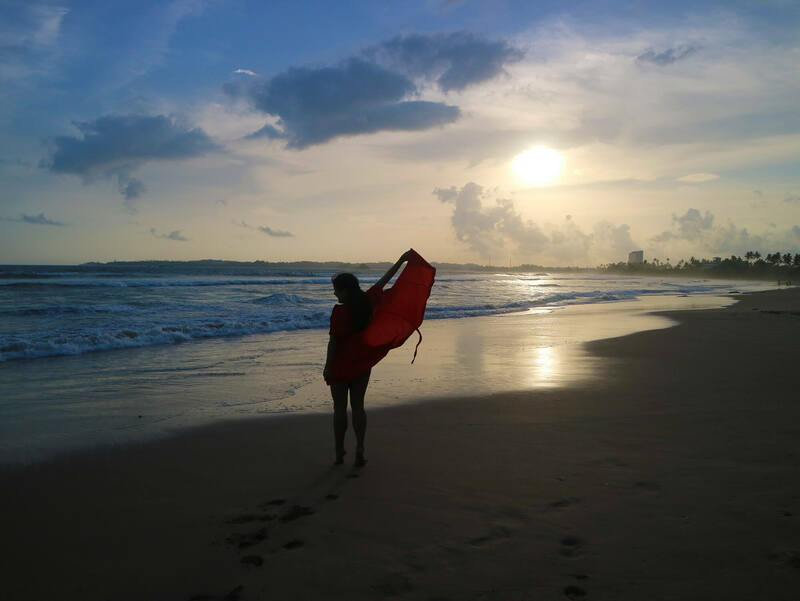 The town of Weligama in Sri Lanka is every beach and sea lover’s dream. It’s close to the waters and offers wonderful sunsets and views. 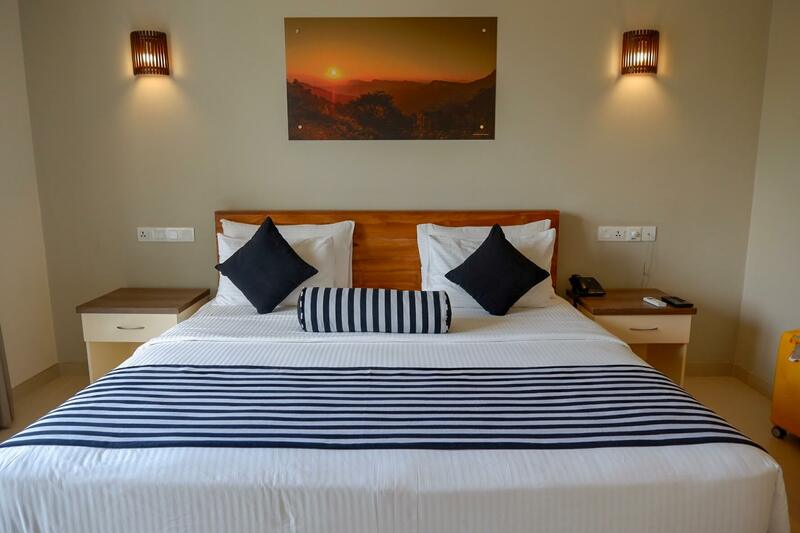 Nicknamed “sandy village”, the town is host to plenty of wonderful hotels and accommodations for some much-needed rest and relaxation – and Twenty Two Weligambay Hotel is a wonderful example. 22 Weligambay isn’t titled a luxury boutique hotel for no reason – they don’t skimp one bit on the size and quality of their rooms. They are spacious and luxurious, the furniture work well together to bring a homey yet stylish feel. Perfect for couples going on a honeymoon or even for families on a vacation. For the best views, be sure to book a room facing the beach. The tub in the bathroom is great to take those IG-worth shots. It allows visitors to experience a stunning, unobstructed view of the sea. Aside from the tub, the rooms are also equipped with a high-end jacuzzi. They also had good and stable wifi so it was easy to spend our time working here. It was definitely a good base to reach south of Galle. In addition, the staff in Twenty Two Weligambay Hotel are very friendly, work efficiently and quickly, and are always willing to help. If you want to go all out on your room, the amenities in Twenty Two Weligambay won’t disappoint. Pools are pretty typical of resorts and hotels, but Twenty Two Weligambay takes it up a notch with their outdoor infinity swimming pool. Just a couple of steps away from the beach for easy access – depending on the angle, it seems like the pool just seeps into the ocean. In addition to being a very Instagram-worthy shot, the pool also happens to be heated! A great place to sit back and relax your muscles after a day of swimming or surfing in the cold sea. Into diving or surfing? When booking at this hotel, you can save yourself the hassle. You don’t have to travel far to enjoy the thrill of the sea – the Twenty Two Weligambay is just a few steps away from the beach. And a few steps away from lots of establishments hosting surfing and diving lessons to help you make the most out of your trip. 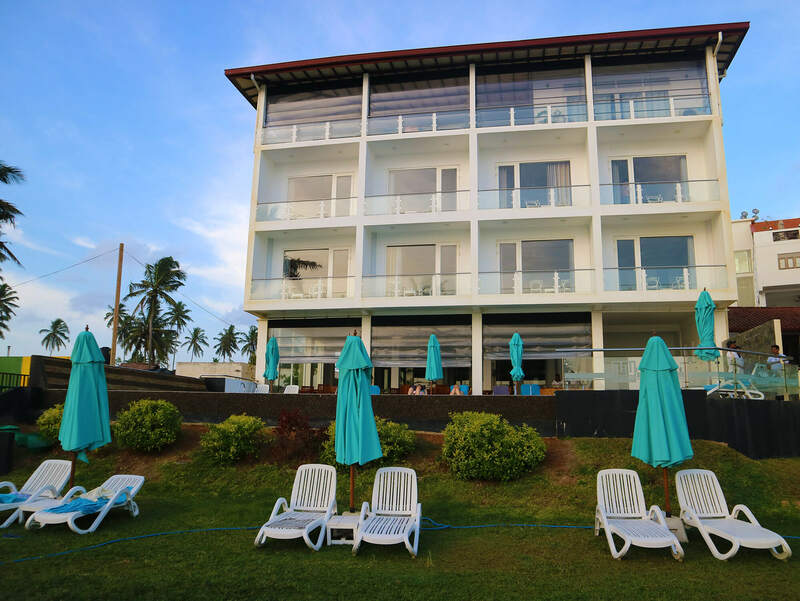 Aside from being a good couple of minutes away from the beach, staying at Twenty Two Weligambay is also a great choice for travelers looking for a starting point before heading to other tourist destinations. 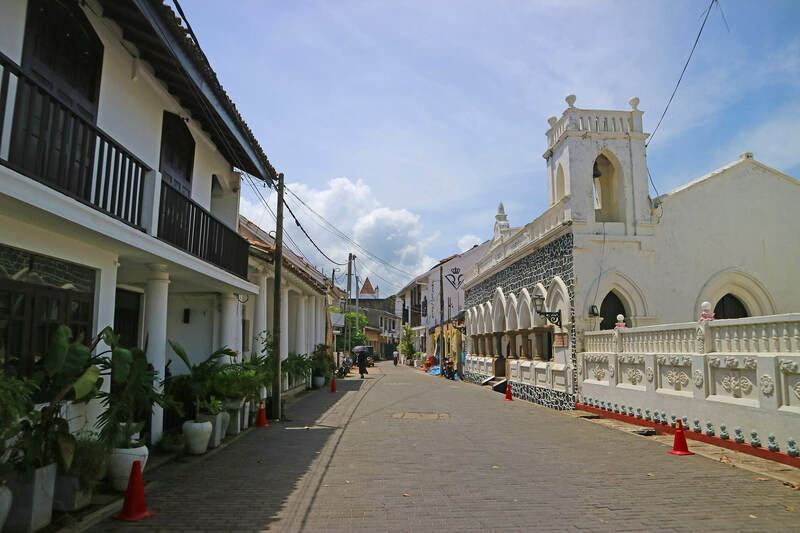 Stroll around the streets of Galle Fort. 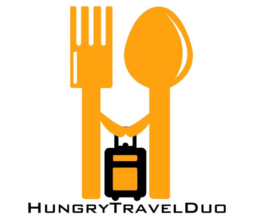 What sets aside a normal hotel from a luxurious one definitely has to do with food. Twenty Two Weligambay has two different restaurants – their main restaurant and Pool Side @ Twenty Two. 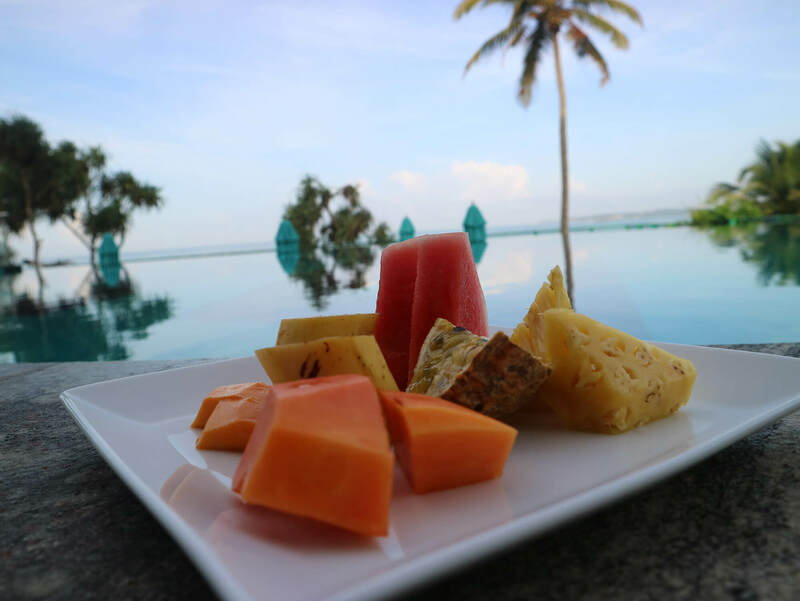 The latter is meant for finger foods, snacks and drinks while sitting back, relaxing, and overlooking the beautiful infinity pool. The Pool Side is more informal as well – no dress codes to follow. Just order up and enjoy the experience. Breakfast with a view? Yes please! 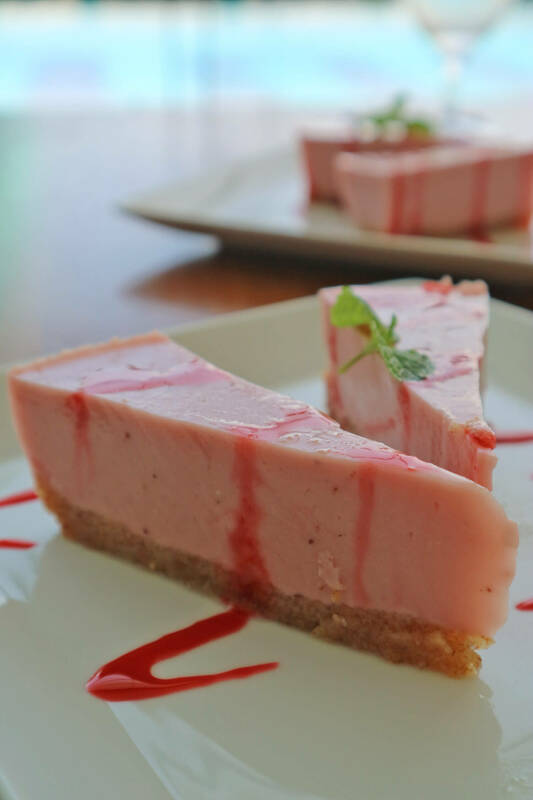 More on 22 Welligambay’s food, soon! As for their main restaurant, the view is still fantastic, overlooking the beach albeit the setting here is more formal than at the Pool Side. They served an option of either a buffet spread or set meals for breakfast. Since we were three people, we ordered three different meals and then tried them all. I absolutely loved their curry dishes. Our friend Patrick preferred their pasta, which was very well made too. 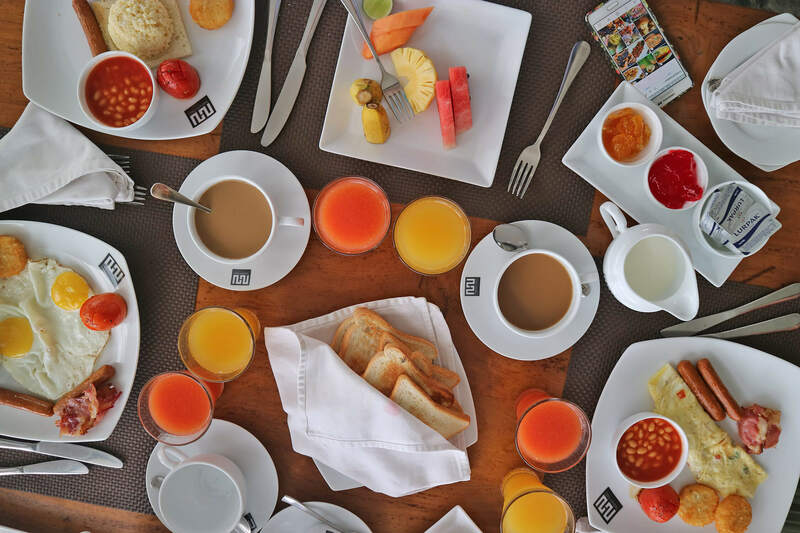 The food was good and breakfast servings were super generous – we were always so filled. Their menu is inclusive for everybody, from vegan and vegetarian options, to more fish and meat friendly ones. You can even bring your freshly caught fish from the beach to the kitchen for the staff to cook. 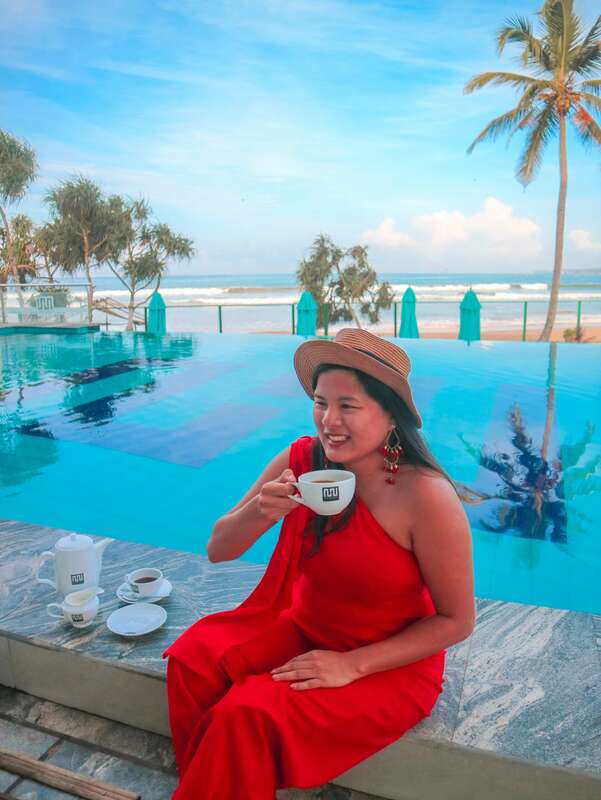 Twenty Two Weligambay doesn’t just offer accommodation, they also offer access to experiences outside the hotel grounds – and outside the Weligama area. 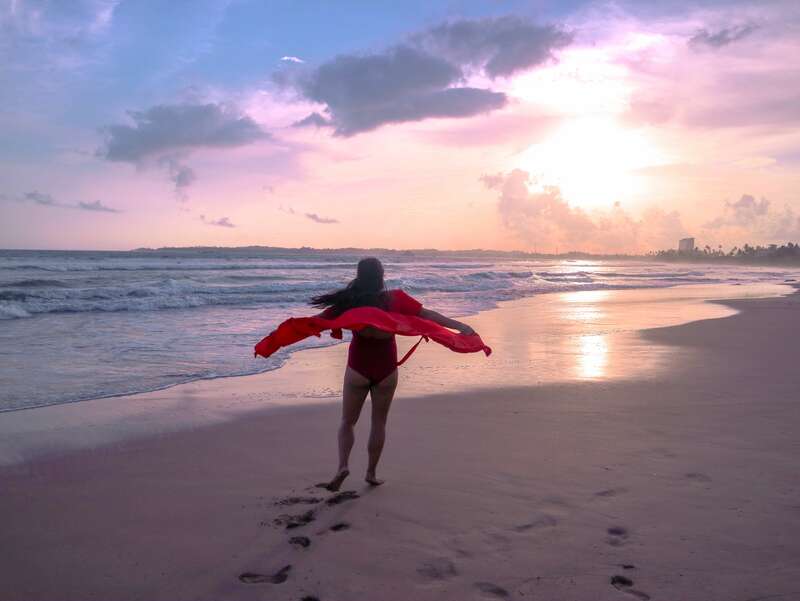 Beaches: Aside from the beach just a few metres away from the hotel, there are also other beaches to visit – more quiet, less tourist-y, but still easy enough to access should you wish to go. Whale Watching: 3 kilometres north of the resort is Melissa, one of the best places to see all sorts of whale species – some even swim near the shore, making for an every likelier chance of a sighting. If you want to see more, you can even go on a cruise and tread deeper waters. 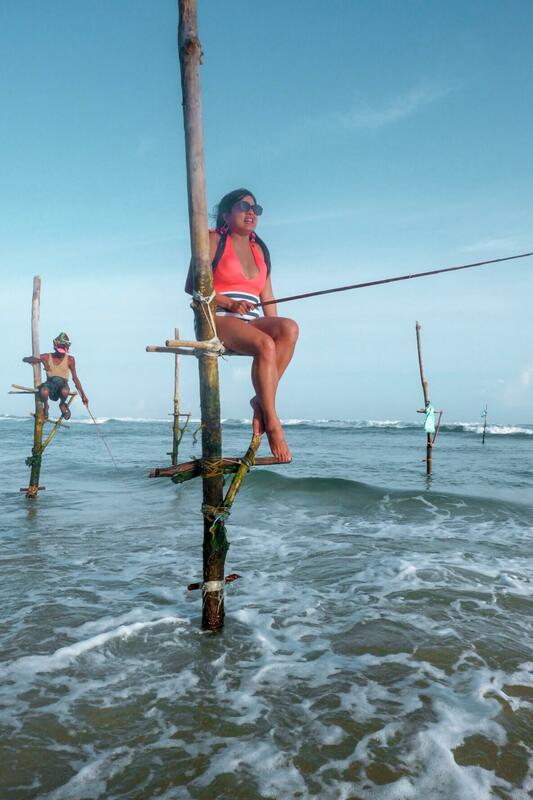 Stilt Fishing Area: With such a large coastline, fishing is very popular in Sri Lanka – both as a hobby and for livelihood. You can head to the Stilt Fishing Area and test your luck catching big fish. There are usually a lot of fishing operators nearby to assist and guide you along the way. 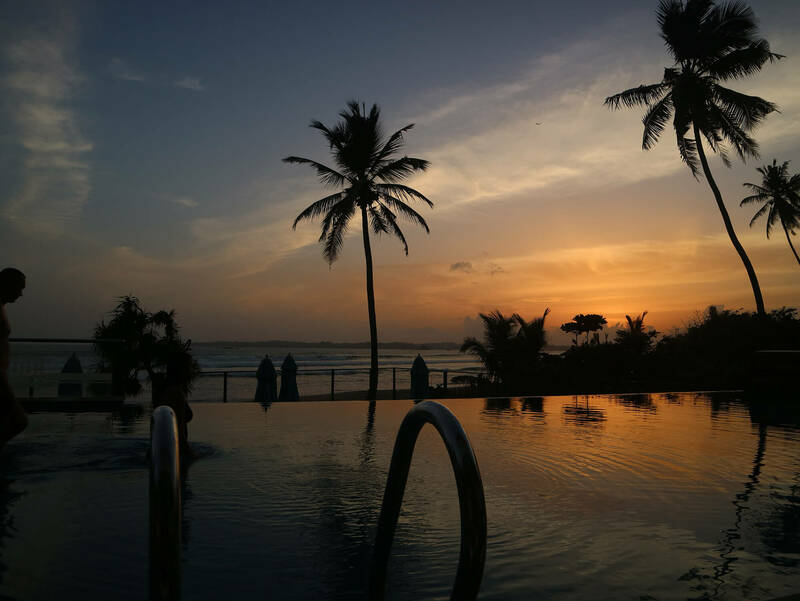 Tuk Tuk Galle Safari: For a ride lasting a little under an hour, you can drive to Galle and go on one of their acclaimed Tuk Tuk safaris, lasting three to four hours. 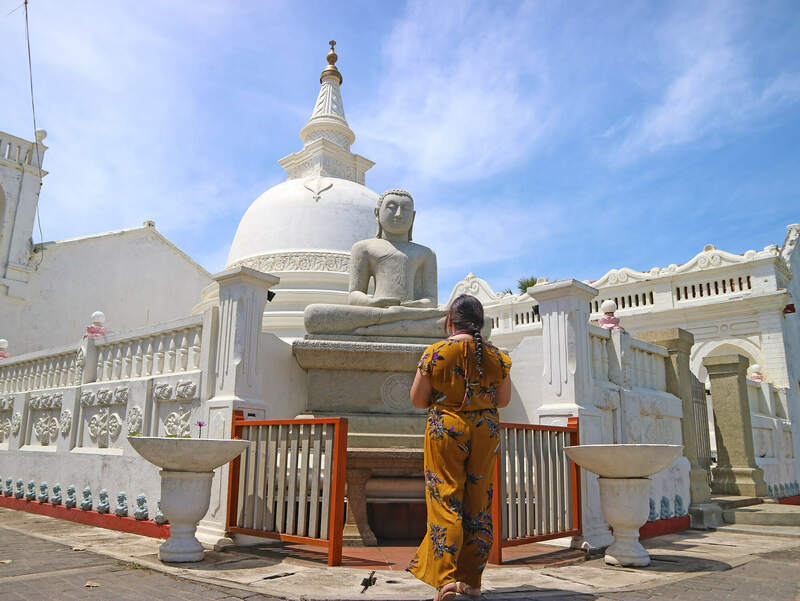 (Read our review about the Tuk Tuk Safari here )The safari exhibits daily life in Galle, local food and livelihood, and an off the beaten track experience to help gain a better understanding of rustic Sri Lanka beyond the hotels and resorts. The longer option, around 5 hours but the pro is that you can bring your luggage along – for a price. There are both air conditioned and non-air conditioned buses, the latter usually being the cheaper option. There are also express buses, but they do not stop directly at Weligama – you’ll have to get off at Mirissa then take a tuk tuk to the hotel. Taking the express train from Colombo is one of the faster options, from 2 to three hours and costing only around 250 rupees. After arriving at the Weligama Railway Station, take a tuk tuk directly to the hotel. The con is that it might be a little difficult if you have a lot of luggage with you. Taking a taxi or private vehicle is definitely the fastest option, clocking it at around 2 hours. But it tends to be quite pricey at 12,000 rupees. 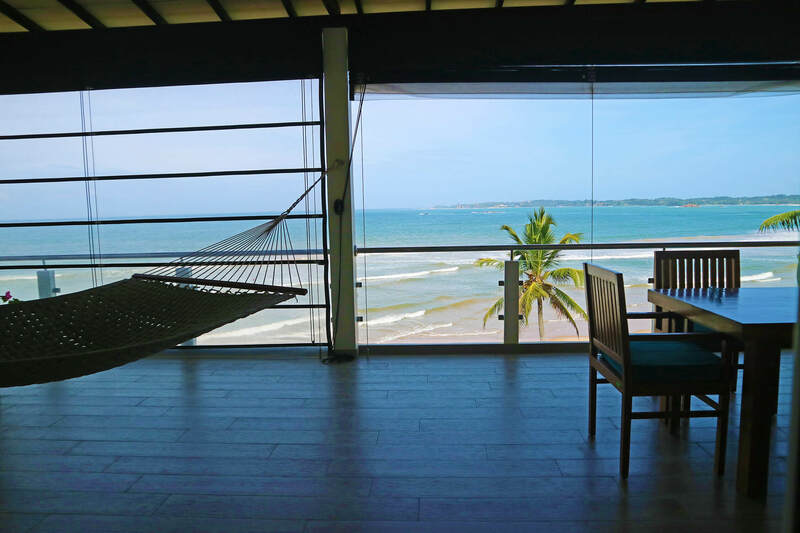 Overall, the Twenty Two Weligambay is a wonderful place to stay while in Sri Lanka . 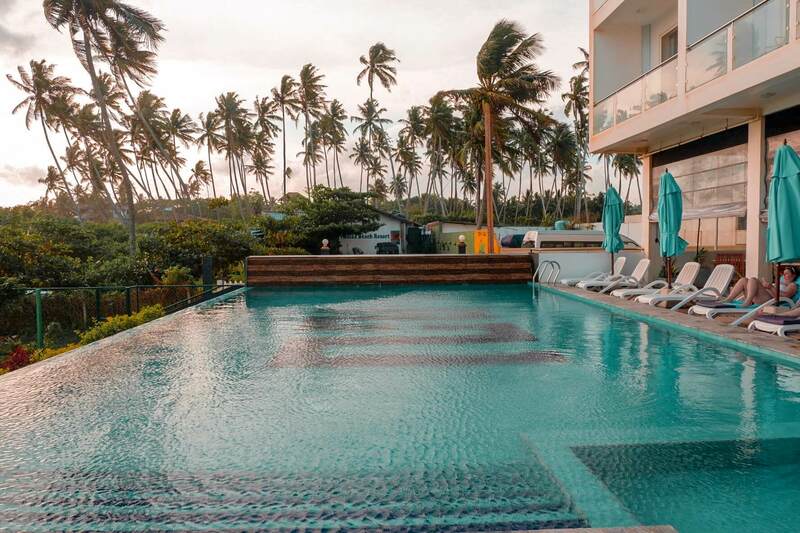 It’s the complete package, wonderful rooms and amenities, easy access to the beach, activities and popular tourist spots, all while being a lovely destination in and of itself.